Beans are one of the longest-cultivate plants that we can find everywhere. Beans come in all shapes and colors Â and can be used in different Â tasty bean soup recipes. 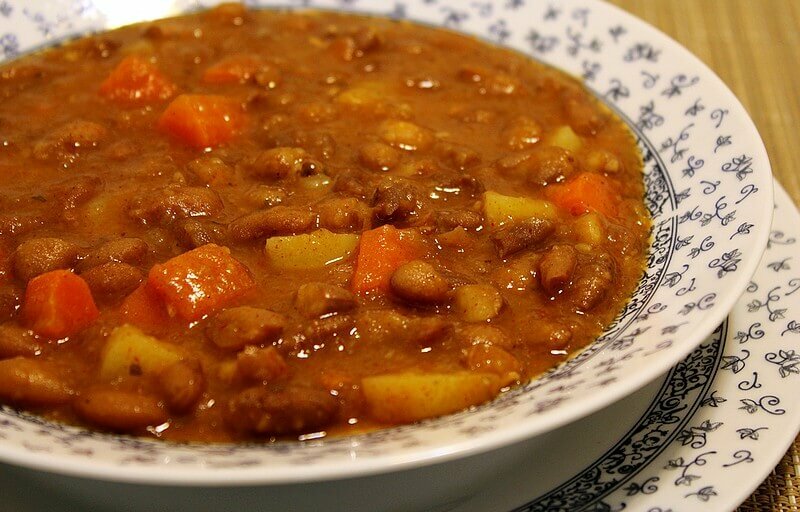 In Bosnia and Herzegovina we prepare black bean soup, white bean soup, bean chili, vegetable bean soup and much more. There are more ways to prepare beans! Tour Guide Mostar will share one of the best recipes that we use in Bosnian traditional cuisine to prepare this delicious meal. 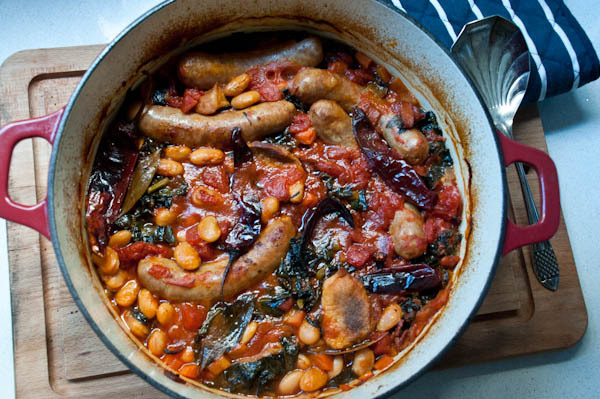 –beans with sausages or solo bean that is made without meat. Soaking the beans in cold water over night will reduce the cooking time. If you didnâ€™t soak the beans, place them in a cooking pot, add water and let it boil for a fiveÂ minute, rinse and add fresh water. Finely chop onion, carrot and the bell pepper. Add it to the beans and let it boil. Reduce the temperature to medium, cover the pot slightly and let it cook for about 1 hour. Occasionally check if water level has decreased, add additional water toÂ always keep the same level of liquid in the pot. After 1 hour add all spices and cubed smoked meat (polish sausage or similar can be used too, but then you will add them in the last 15 minutes). Cook for another one hour . Â To check if beans are ready take a few out of the pot and squeeze them between your thumb and index finger. If they are soft and creamy, and the peel comes off they are ready. The soup will look thick and it will smell wonderfully. After that we suggest to add the tomato Â paste and let it incorporate well into the bean soup. Â Bosnian people usually use garlic or onions as a base flavor. Garlic if you want a spicy bite to the sauce, onions if you want it sweeter. Now add paprika Â and again mix it properly. Â This might produce a lively reaction. Give it a nice stir, reduce the heat and cook for another 5 minutes. Taste and add more salt if needed. Serve warm with a slice of a nice, crusty bread. This soup freezes well and keeps well in the fridge for at least 3-4 days. 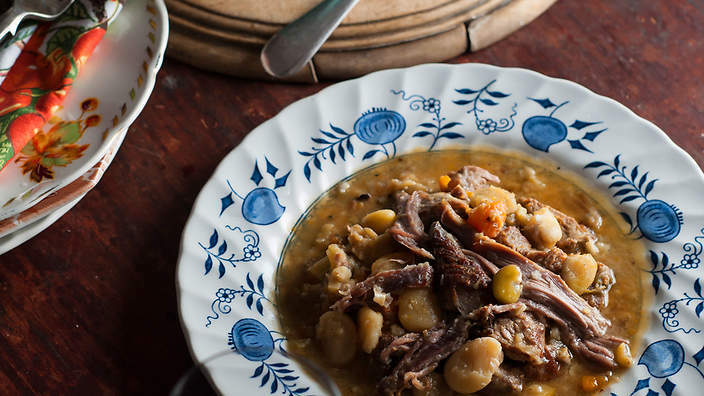 The Bean Soup is very popular, so now, when you know the recipe you can visit RuiÅ¡te in Bosnia and Herzegovina to compete on our domestic and popular competition in cooking Bean Soup called â€œGrahijadaâ€.